I once found myself sitting next to a physician in an auto repair shop’s waiting room. I don’t recall how it came up, but when I mentioned that I used to run a market research company, he brightened, saying, “We started using customer comment cards at our office.” Knowing that early research results can be startlingly helpful, I asked what he’d learned so far. 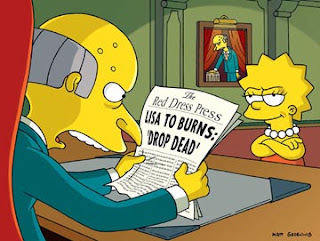 He smiled and shook his head: “We don’t read what people write. The girls just throw the cards away. We only have them out because someone told me that if people have a complaint and can write it down, they’re less likely to file a formal complaint.” Makes you want to write a customer comment on your hand and deliver it straight to his ear-hole, right? 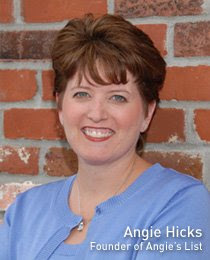 What got me thinking about doctors and customer service was talking with Angie Hicks, of Angie’s List, the consumer ratings service. Her firm’s three-quarters of a million members rate local businesses, and starting last year, they added doctors. Some of those doctors have objected and actually created a waiver for patients to sign stating they will not comment publicly on the doctor’s care. Angie calls this “the equivalent of a gag order” and it certainly tests the gag reflex. I mention it because the waiver is actually a convenient customer service, alerting you upfront that the person you are about to meet is the worst order of creep – the one who knows he or she is a creep and has refused to do anything about it except try to keep word from getting out. But there are other important things to learn from Angie Hicks, one of the few who is successfully getting people to pay for content on the web. How does she make her service that good? When we spoke, I asked Angie about that little invitation and she explained that she has such meetings three or four times a year, in different cities, usually in coffee shops, with all local members receiving an email invitation. These events don’t draw large crowds – 20 or 30 people is considered a nice turnout – but perhaps that’s better, because she doesn’t go out to speak, but to listen. And listening may be the primary customer service skill. Was the member with the elderly parents complaining to Angie? I suspect that she thought it was, but that’s not what the wise executive hears. And that brings us full circle, to what the doctor who threw away unread his customer comment cards did not understand: A complaint is a present in homely wrapping paper. Tear off the wrapping and there’s a suggestion inside. Unwrap that and there’s a market waiting to be served. Unwrap that and there’s a check with your name on it. Hey Dale, this is about what I have noticed is one of the primary skills of building healthy relationships. I call is Cultivating Critical Feedback and I actively teach folks in my program to practice this. We don't have to assume all of the feedback is valid or even helpful. But much of it is and we won't get the good stuff if we don't ask.